The Member of Parliament for the Assin Central constituency Hon. 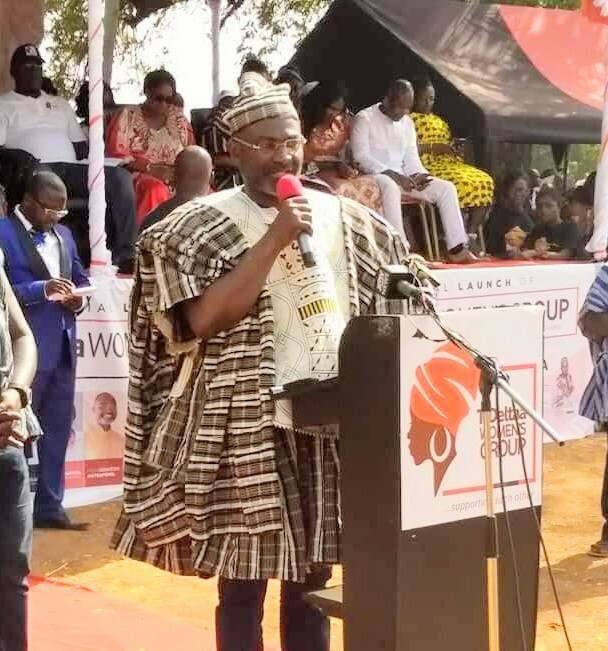 Kennedy Agyapong has been conferred Tenmaali Naa (Development Chief) for the Lawra Traditional Area and has been named with a new skin tittle, Naa Kennedy Dery Agyapong. Naa Ken. Agyapong dancing with Hon. Karbo after his coronation. This took place at Lawra in the Lawra district of the Upper West Region on Saturday December 1, 2018 during the launch of the Tideltaa Women’s group. The honour done him was as a result of his immense contribution towards the development of the area. The Paramount Chief of the Lawra Traditional Area, Naa Pouwele Karbo II, who conferred the tittle on the MP, expressed his gratitude for the strong relationship the Member of Parliament has maintained with the Traditional Area and hence made it binding on all subjects within the Lawra Traditional Area never to address the Assin Central Member of Parliament without the enskinned tittle. He thanked him for the support he has been giving to the Lawra paramountcy. He stressed that, the traditional area will also keep the friendship intact with the MP and will not relent in calling on him when the need arises. Meanwhile, the MP for the Assin Central, Hon. Kennedy Agyapong now known in the Lawra Traditional Area as Naa Kennedy Dery Agyapong who could not hide his happiness promised the Chiefs and people of Lawra his commitment to always come down from time to time to support the area. He further indicated that, the Lawra paramountcy will get massive development in the hands of he . December 2, 2018 in Business, Local News.